While investment firm UBS doesn't believe the Apple Watch is yet a "must have" device, its importance to the company's bottom line is expected to grow over time as new use cases emerge. Analyst Steven Milunovich issued a note to investors on Friday in which he said he is "moderately positive" on the Apple Watch in the near-term, but bullish on the wrist-worn device's long-term prospects. He noted that the initial strength of the Apple Watch is saving time for users. 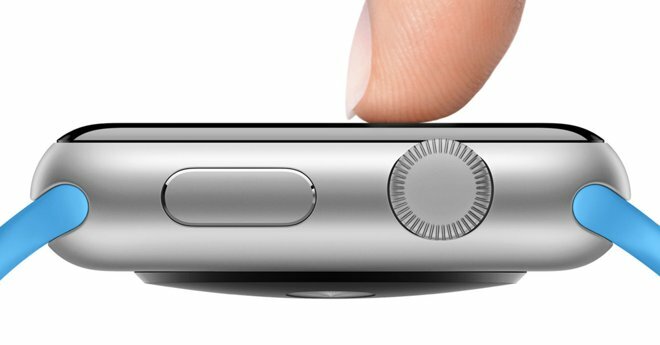 But the killer feature may be the Taptic Engine which gives a gentle tap on the wrist. 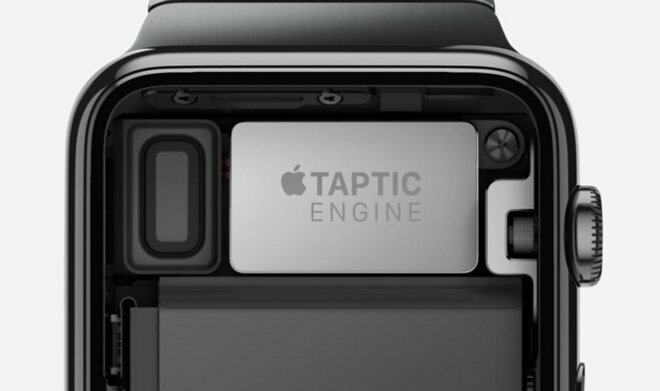 To Milunovich, Apple's Taptic Engine could prove to be a so-called "digital sixth sense" for Apple Watch wearers. This capability, he said, could act as a bridge between the digital and physical worlds. Also on Friday, the analyst introduced the new UBS Evidence Lab Apple Watch Monitor, which is designed to predict quarterly demand based on search popularity. The research found that consumer interest of the Apple Watch is about one-half that of the iPhone. UBS has predicted that Apple will sell 16 million Apple Watch units through the end of fiscal year 2015, which concludes with the September quarter. Looking on to fiscal 2016, he believes Apple will sell 40 million units. His forecast also calls for 15 percent earnings per share growth in fiscal 2016, with the Apple Watch contributing about a third of that. He sees the Watch becoming a meaningful part of Apple's growth story, potentially in the face of slowing iPhone momentum during an "s" upgrade cycle. But Milunovich also cautioned that the figures may be too "aggressive," given the initial readings from the UBS monitor. "But given the power of the Apple brand, it is premature to come to forecast conclusions," he said. UBS has maintained its price target of $150 for shares of AAPL, with a "buy" recommendation for investors.